கர்னாடக கலவரத்தை தடுத்து நிறுத்துக! – இந்திய பிரதமருக்கு அவரச மனு – பல நூறு அமெரிக்கத் தமிழர்கள் கையெழுத்திட்டுள்ளனர். 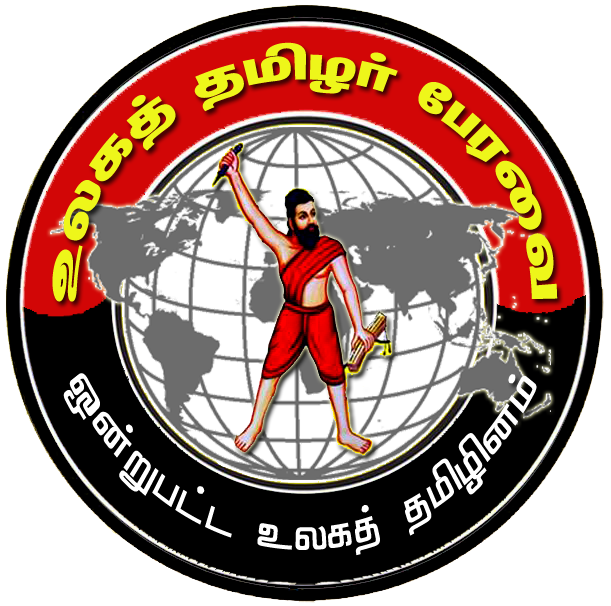 மேலே படத்தை அழுத்தி நீங்களும் உடனே பங்கெடுங்கள்…. இந்திய பிரதமருக்கு உடனடியாக கர்னாடக தமிழர்களை பாதுகாப்பு அளிக்கக் கோரும் விண்ணப்பம். 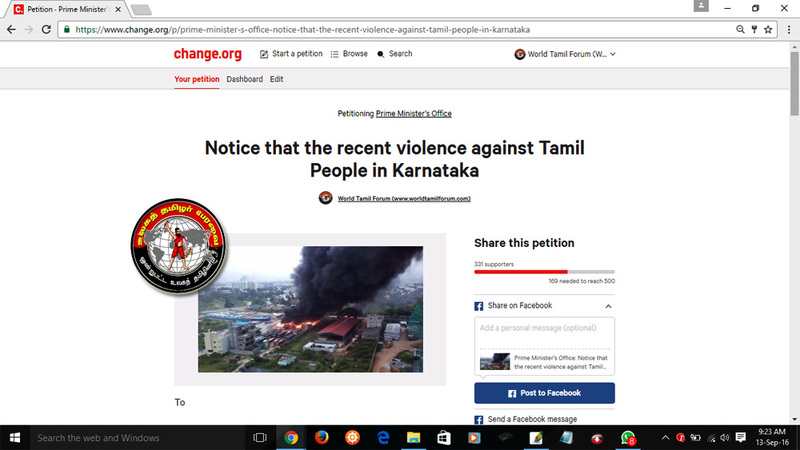 விண்ணப்பத்தை அனுப்ப, இங்கே அழுத்தவும்…Click here to sign the petition. This is to bring to your kind notice that the recent violence against Tamil People in Karnataka especially Bengaluru and Mysuru. The Supreme Court has given its order to release water to Tamil Nadu to save Samba crop, as soon as the verdict of today is came out; there was an unrestricted and uncontrolled violence against Tamils were unleashed with police watching as mute spectators. 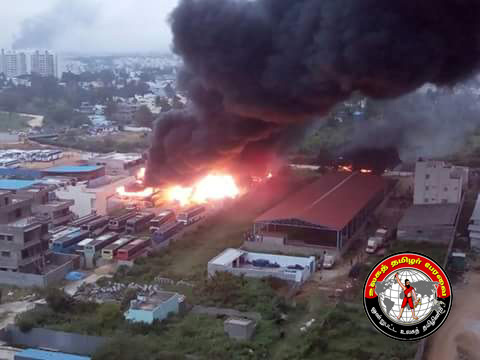 The government did not take any preemptive measures to prevent the violence against Tamils living in Karnataka. There are more than hundreds of trucks. Buses, Cars and other vehicles are burnt and many more damaged. Tamil People are living in fear and helplessness. The elected government which is supposed to give protection to the people becomes dumb despite several requests from the pople and encouraging indirectly in violence. The Honorable Supreme Court has given the verdict and one must follow its directions as for as releasing of water and ensure the safety of the people living in Karnataka but what happened from the morning till now is un restricted targeting of Tamils and their properties. The atrocities happened are we don’t need to give proof but one can get it from watching all the TV channels. In this respect we humbly request you sir to kindly take necessary action and ensure the safety of Tamil people living in Karnataka.